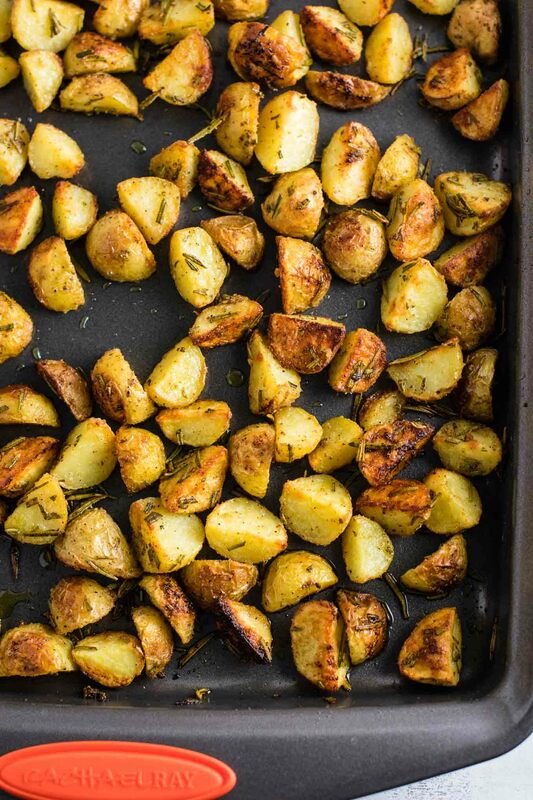 Roasted potatoes and me are the best of friends. I love that I can buy a big bag of delicious baby potatoes for less than $3 (yay for Aldi’s!) and turn them into just about anything I’m in the mood for. 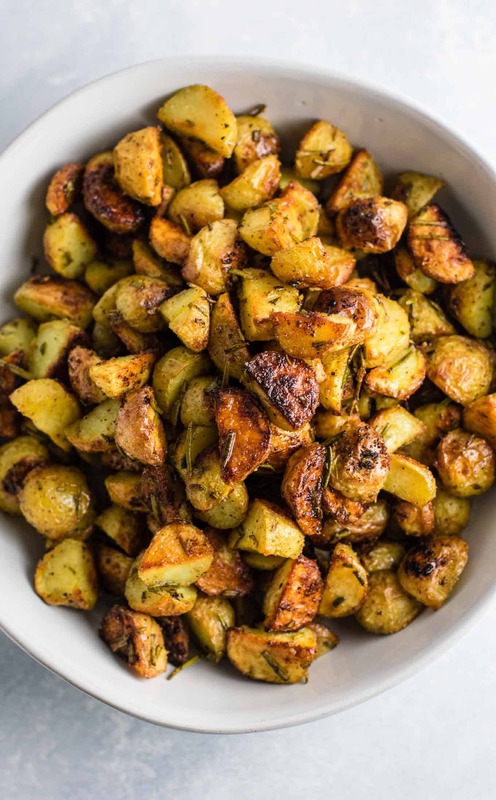 In this case: these fresh rosemary roasted potatoes! 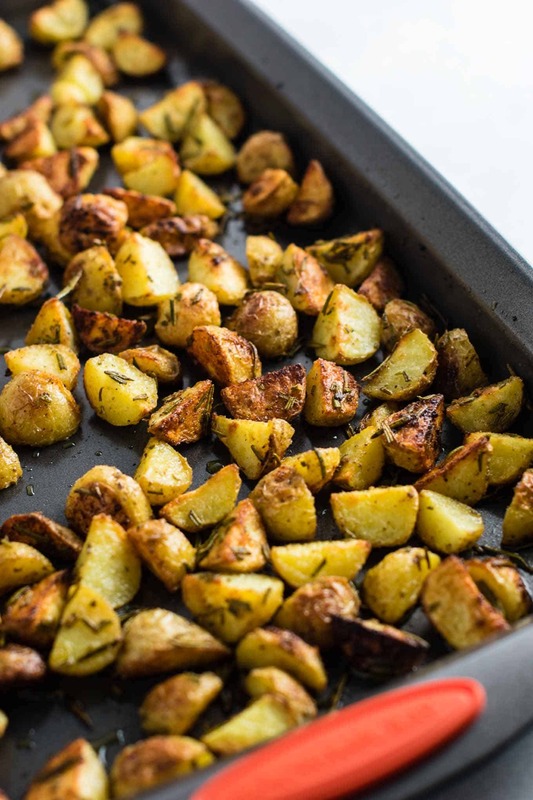 Last week while grocery shopping, I saw how amazing the fresh rosemary looked and immediately got a craving for these rosemary roasted potatoes. 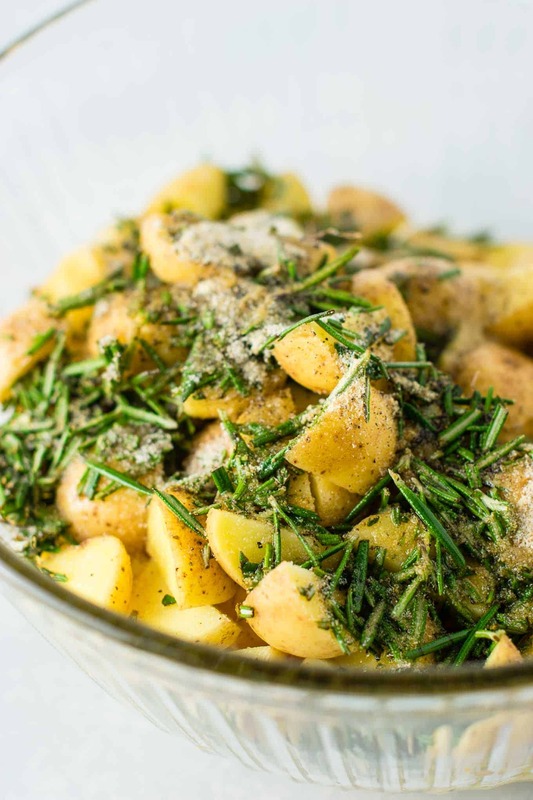 These are similar to the garlic parmesan roasted potatoes that I posted last week, but made with fresh herbs in place of parmesan. That also means that this recipe is vegan! Am I the only one who gets excited by fresh herbs? Not only are they beautiful to look at but they add so much depth of flavor to any recipe. 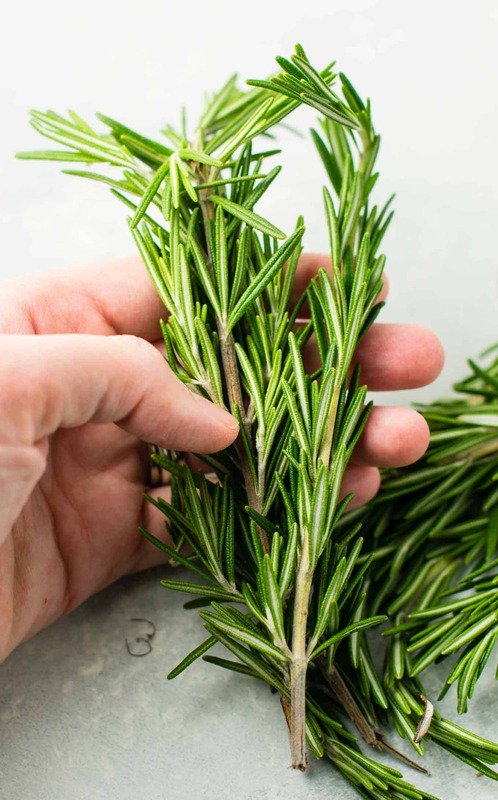 I chopped up the rosemary with a knife to get it into slightly smaller pieces, but you don’t need to spend too much time on this step. Just a rough chop and it’s ready to toss with your potatoes. The only other ingredients you will need are: salt, pepper, garlic powder, onion powder, and olive oil. The recipe instructions say to use up to 1/4 cup of olive oil. Really you just need to use enough to where the potatoes are evenly coated to help avoid any burning. 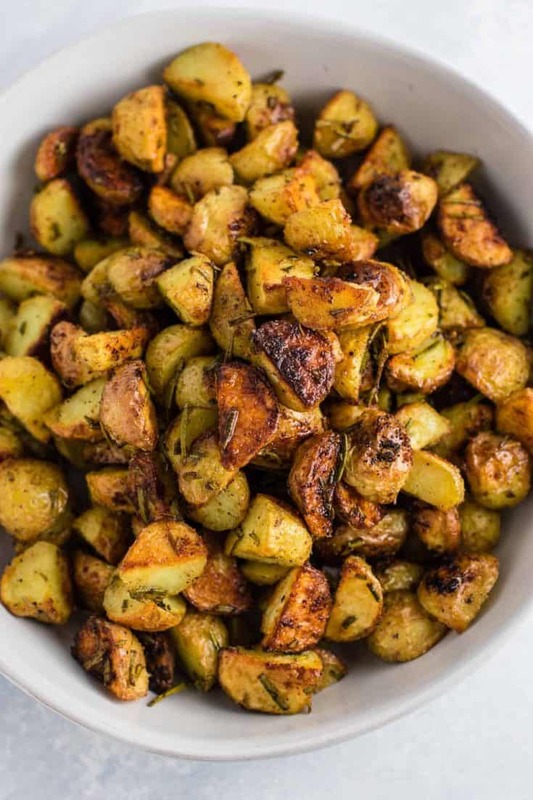 Since we are roasting these at a high temperature, it’s important to use enough olive oil and a good quality non stick pan to help avoid any burning and sticking. 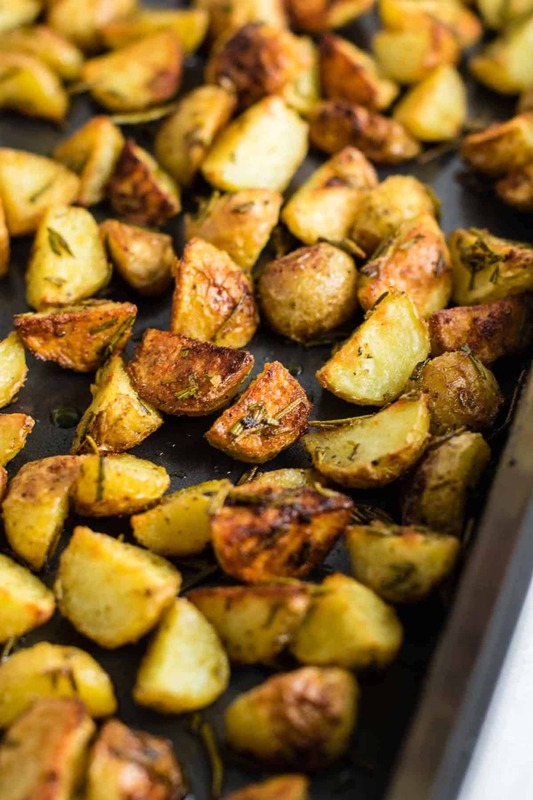 After 15 minutes of roasting, take the potatoes out and give them a quick stir and flip. This will help ensure that they get crispy on all sides. Another 15 minutes in the oven and they’re done! They should be all delicious and crispy looking like this. I love to dip mine in ketchup, but that’s personal preference. They’re also delicious by themselves! Are you making this recipe? I want to see! Don’t forget to tag me on instagram @buildyourbite! 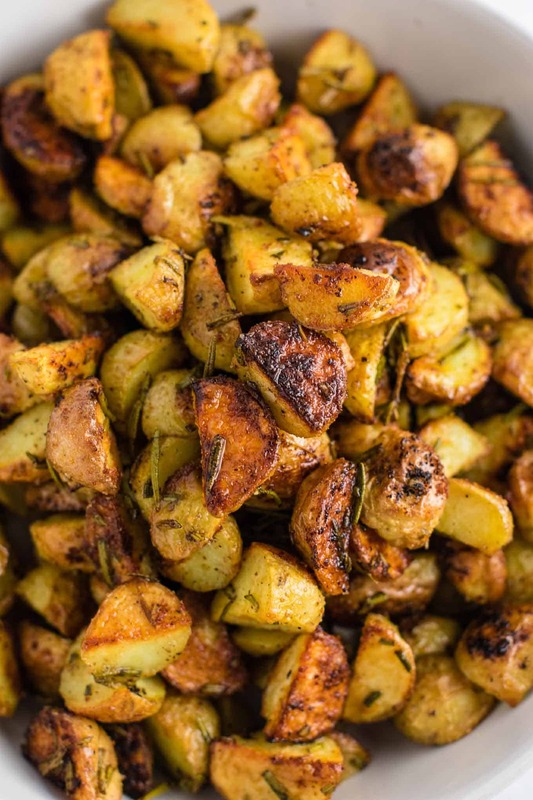 Pin these rosemary roasted potatoes for later! 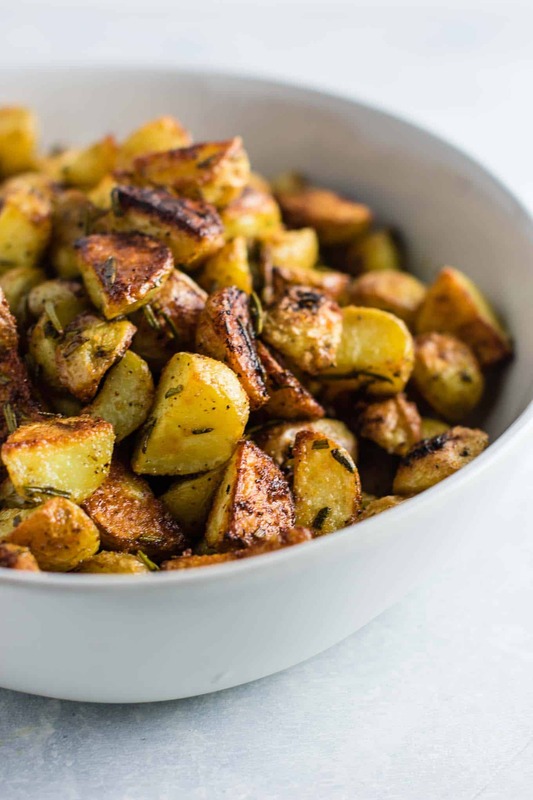 easy homemade rosemary roasted potatoes - an easy and tasty side dish! 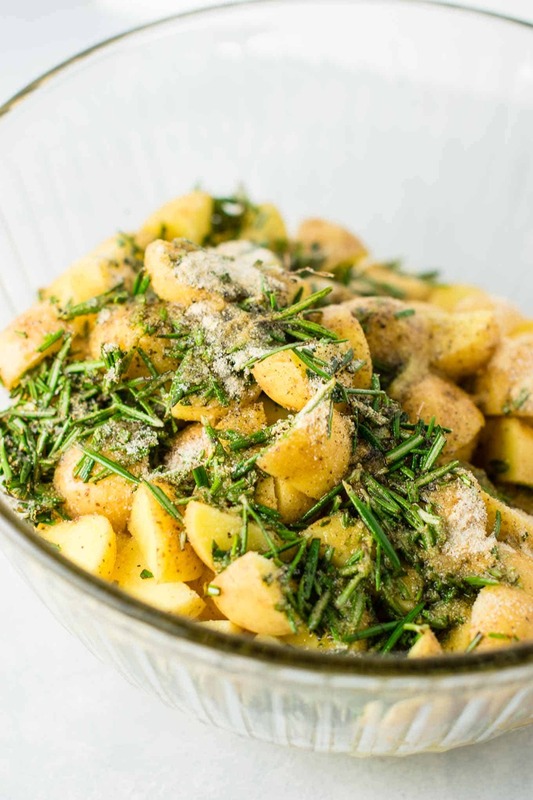 Add quartered potatoes, salt, pepper, garlic, chopped rosemary, and onion powder to a bowl.